Glauert, Earl T. and Merle H. Kunz (eds.) 1976. 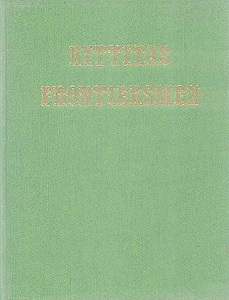 Kittitas frontiersmen. Ellensburg, WA: Ellensburg Public Library. FYI about ‘Kittitas’: the pronunciation [KITTittass] is usual locally. Thanks to my blog’s visitors for asking!